Home Free How to Security Tech Tip Tools Windows Tricks How to safely store all your passwords in an encrypted way for free? 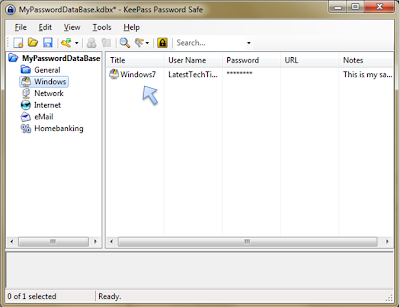 How to safely store all your passwords in an encrypted way for free? Do have a tendency of forgetting your important passwords? Do you have different passwords for Banking, email, PC etc? 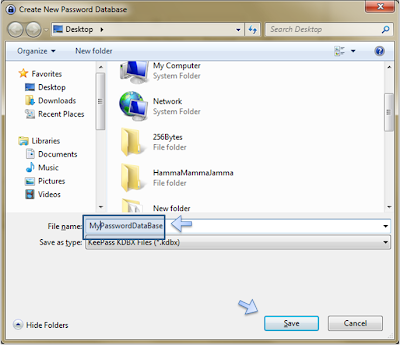 If yes and you don't want to forget your valuable passwords there is a very useful utility which can help you store all these passwords in an encrypted way for free. 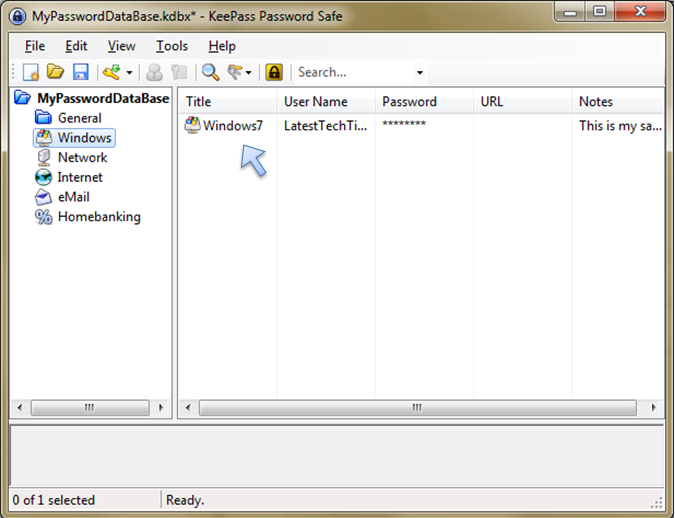 The name of the utility is KeePass Password Safe. 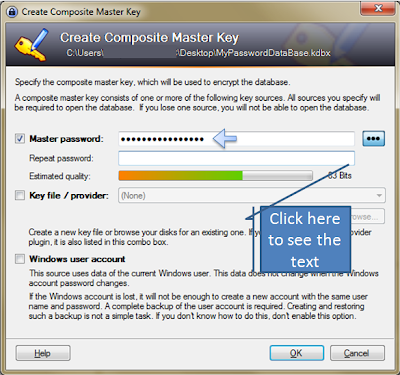 It is a free open source utility which can store your passwords in a highly-encrypted database, which is locked with one master password or a key file. This is a very useful Windows utility. Click on the New Button to create a password repository. 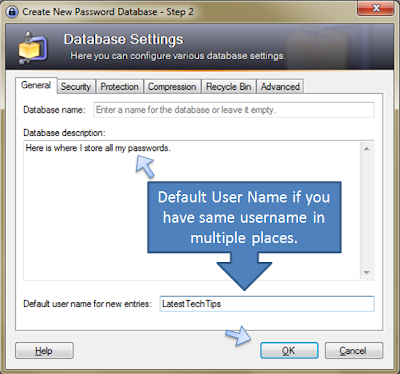 Give a name to your password repository. Give a master password. It has to be very strong. The password strength will be denoted by orange line just below if it turns green your password is good. Put description and default user name if you have same user name in many places and click OK. 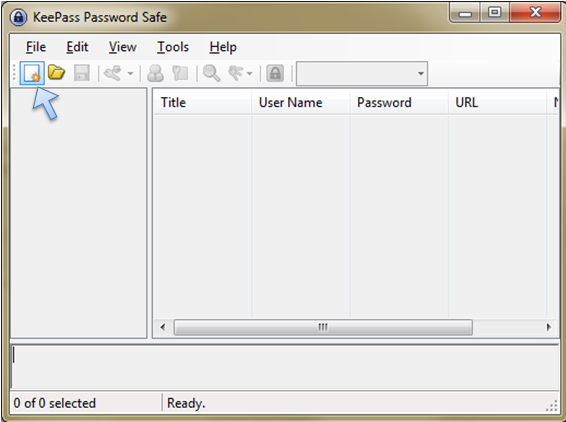 Your Password Database file is created and ready to be used. 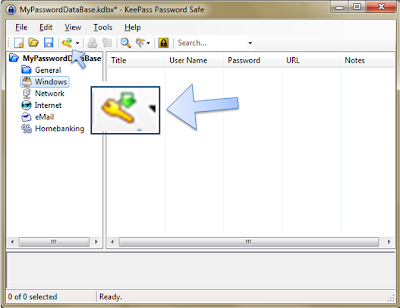 Now select a category example Windows and click on the yellow key at the top to add a username and password of the account to store. Click OK and you are done you can see a new entry added for username and password you just added. You can now select different category and add respective passwords. It also works on Widows 7. The master password should always be very strong else somebody can get access to all your passwords. Read : Password:Choose it wisely to choose a strong password for master password. If you have any problem leave a comment or mail me.